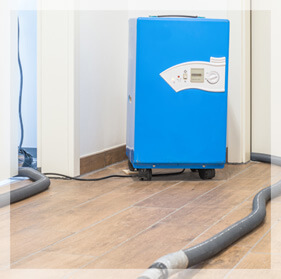 Sano Steam offers quick and dependable 24-hour emergency water cleanup and restoration designed to protect your property and minimize water damage. If you’re currently dealing with water, the first step is to stop the source of water flow or leak as soon as possible! You will find the main shut-off valve next to the water meter or under a panel on the driveway in nearly every home or building: next, call Sano Steam as soon as possible to start extracting standing water, apply germicide solution and start the drying process. Our IICRC-approved methods are covered by most insurance providers and with a quick call to Sano Steam, our disaster loss reduction method can save you time, hassles, and serious damage. Who Choose Sano Steam for You Water Damage Restoration? Warning: The Biggest Mistake You Can Make in Any Water Damage Incident is Waiting! The longer your property remains wet, the worse the damage will be! If you live near Wilmington, NC. and your home or business is flooded, you need to start acting quickly. We can assist in stopping ongoing water damage by immediately starting to dry your property. Remember, delaying only creates more problems! The quicker you can extract the water and get your home dried, the less chance you have for dangerous mold to grow and wood to rot. These issues are not only difficult to repair, but very dangerous to your family’s health and safety. Water damage is ongoing and progresses fast. Salvaging attempts done within the first 48 hours of initial water damage could save your home from expensive repairs! Moisture damage to contents, books, papers, valuable artwork, etc. Finding a reliable water mitigation and damage restoration contractor that understand insurance claims. Immediate drying to avoid further damage. Ensuring quick recovery to avoid additional displacement costs. Sano Steam will provide you with a restoration invoice to submit to your insurance so you don’t lose the payment for the depreciation. Most insurance companies pay homeowners claims with two checks. The company will give you the first check after the adjuster has reviewed the water damage. This check will be for the emergency water damage repairs and estimated cost of restoration, minus depreciation and your deductible. A deductible is the amount of the claim that you’re responsible for paying the restoration company yourself. The company will give you a second check for the balance of your claim after it receives the restoration contractor’s invoices for the finished job. You must complete repairs or replace your property within a certain number of days from the date of loss to be eligible for depreciation recovery.